Contemporary indoor fixture with solid lines and fixed edges perfect for urban lifestyle dicor. Frosted glass light diffuser on bottom to reduce glare from above. Lined with a white fabric shade. Perfect for illuminating a small space, the Disk collection's white glazed metal frame borders moulded opal glass. A one-light flushmount with soft, rounded edges, it provides a casual look with modern-day flair. Classic globe fixture features white opal glass diffuser. Great for hallways, utility rooms or anywhere a basic light fixture is required. Includes knock-out for optional pull-chain switch. White Brim 15 inch Kitchen Flushmount Classic melon glass shade for a traditional contemporary look. Full coverage flushmount easily hides existing ceiling flushmount opening. 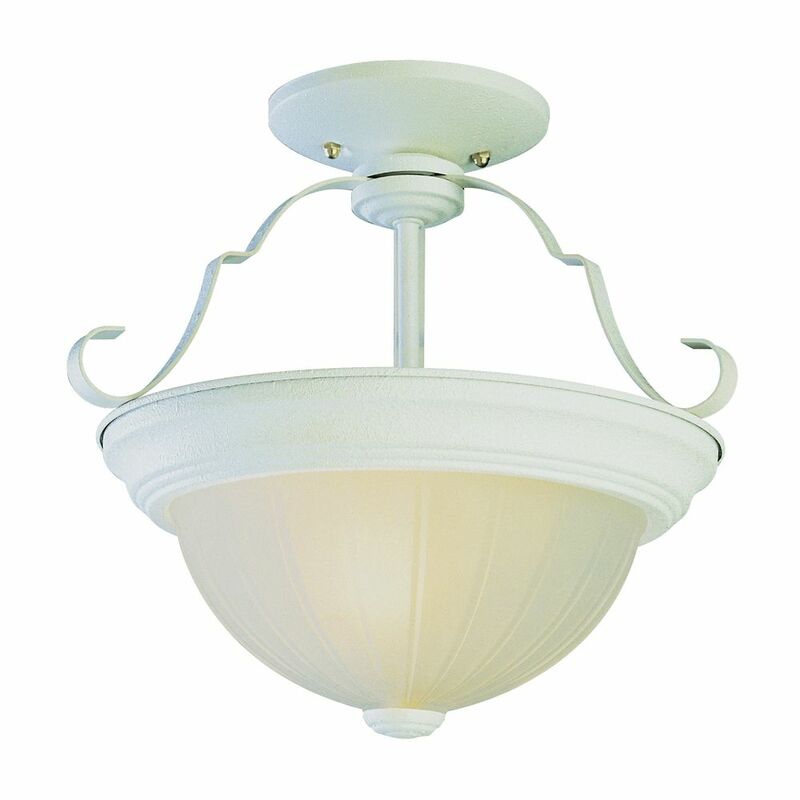 Suitable for damp locations making fixture a perfect fit for bath, kitchen, and service porch areas. White Brim 15 inch Kitchen Flushmount is rated 4.0 out of 5 by 1. Rated 4 out of 5 by Cat from Wanted a white ceiling fixture that would not look dingy in a bedroom. This was a refreshing chan... Wanted a white ceiling fixture that would not look dingy in a bedroom. This was a refreshing change from the 3 bulb fan. Good purchase! I will be ordering another. Does this mean 3 light bulbs of 60 watts for a total of 180 watts? I want a very well lit kitchen with an antique look. Thank you. Yes, 3 bulbs each up to 60 watts. for a total of 180 watts maximum.